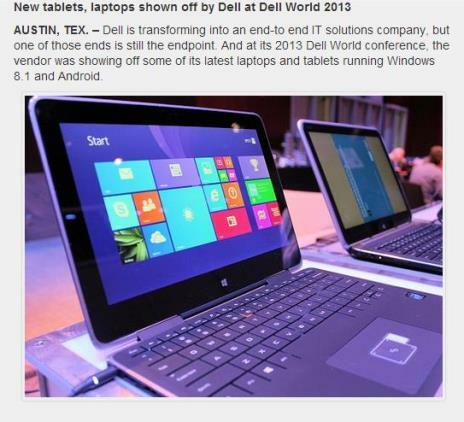 At the recent 2013 Dell World conference in Austin Texas, the computer maker showed off its latest tablet and laptop products. These devices, which run on both Windows 8.1 and Android operating systems, can be the ideal stocking stuffers this holiday season. Starting prices range from $149.99 to $1,145.90.